We had a late night tonight and I realized I had nothing for my photo project, so tonight we have a picture of my mantle. 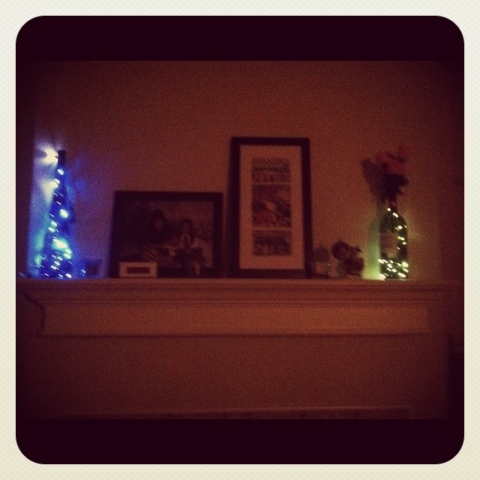 I always love twinkling lights and it makes me sad to pack them away every Christmas. Thanks to Pinterest I have found a way to reuse my lights as well as a couple of wine bottles that have been sitting around. This entry was posted in Instagram, Project 366 and tagged bottles, decorations, Instagram, lights, Mantle, pinterest, project 366, wine bottles. Bookmark the permalink.